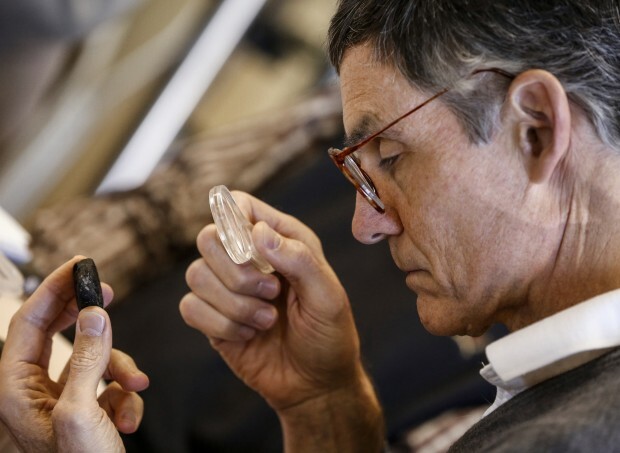 TUCSON, Ariz. (CNS) — Every time Jesuit Brother Guy Consolmagno looks through a telescope at a deep sky object or examines a piece of a 4-billion-year-old meteorite that found its way to Earth, he says he’s exploring a mystery that spans both science and faith. Not that the Detroit-born director of the Vatican Observatory is expecting to find each and every answer during his inquiries as one of the world’s foremost meteorite scientists, but he finds that his discoveries lead him to continue asking questions that bring him closer to God. “The idea of entering into the mystery and dwelling with it is what Christianity is, presents a hard thing to sell to people who are looking for the hard and simple answer. There is no hard and simple answer,” he told a group of 25 people gathered for the Vatican Observatory’s second Faith and Astronomy Workshop Jan. 11-15. The mystery that is God and the related questions about creation, like why and how life exists, and the origins of the universe were among the topics addressed during the workshop at the Redemptorist Renewal Center in the Arizona desert. The participants themselves were not necessarily seeking full answers but were looking for ways to help the children and adults with whom they minister ask questions that allow them to enter into the mysteries and uncertainty that both faith and science entail. The idea for such a workshop surfaced in the mind of Father James Kurzynski, pastor of St. Joseph Parish in Menomonie, Wisconsin, and a contributor to the Vatican Observatory’s Catholic Astronomer blog (www.vofoundation.org/blog). He first suggested a gathering of church ministers to explore the intersection of faith and science to Brother Consolmagno, who had been exploring ways to bring the two seemingly diverse fields together. The first two sessions have been popular with participants, some of whom expressed concern that they have had to overcome “Catholic fundamentalism” and its deep suspicion of science. Such views may be fueled, Brother Consolmagno said, by cable television shows that, in the pursuit of ratings, often portray people of faith as naive and unknowledgable about the modern world. He said such shows have treated religion so derisively that the Vatican Observatory staff routinely declines requests to appear on them. Workshop participants said they found nothing to fear about science, however. Lauren Bordelon, 26, a religion teacher at Mount Carmel Academy in New Orleans, has used the material in the blog to help her students “receive” the universe as a gift from God. She told Catholic News Service she welcomes the integration of science and religion in her classes and hopes to see a wider connection in subjects such as anthropology, history and physics across the school’s curriculum. The idea is to help students “come to the answers on their own” rather than have it presented to them without discussion, she said. It’s that type of integration that Brother Consolmagno hoped would come out of the workshop. “For a young person to see a person of faith who is a scientist such as their parish priest or their religion teachers, for a young person to see a scientist who is a person of faith like a Vatican astronomer, that fact, if they’re thinking, should make them realize that the cliches are wrong,” the Jesuit astronomer said. To help participants better understand the intersection of faith and science themselves, the workshop incorporated a mix of activities and time for reflection. Each day opened with a faith sharing and discussion period that explored Catholic theology as well. The day continued with presentations from professional astronomers on current research and new discoveries. There also were evening and early morning telescopic observing, hands-on experiences, such as an hour spent learning — and studying — meteorites, and field trips to well-known astronomical sites in and near Tucson such as the Kitt Peak National Observatory and the Lunar and Planetary Lab Imaging Center and the Richard F. Caris Mirror Lab, both at the University of Arizona. Brother Consolmagno said he wanted the participants to see places where feel comfortable enough approaching science topics in their ministry settings. “For 125 years we have been doing the true science (at the Vatican Observatory), but I don’t think we have been doing that well in showing the world,” Brother Consolmagno told CNS. “We need to be doing something that’s more systematic, especially in the Catholic world, which doesn’t know were not supposed to be evangelical creationists. There are people who don’t know what our own theology is. They don’t know what our own traditions are. Workshop participants comfortably discussed the big-bang theory, space missions to distant planets, the origins of asteroids and their own experiences observing deep sky objects. To a certain extent, they came together in a supportive community, knowing that they are not outliers in their local communities. 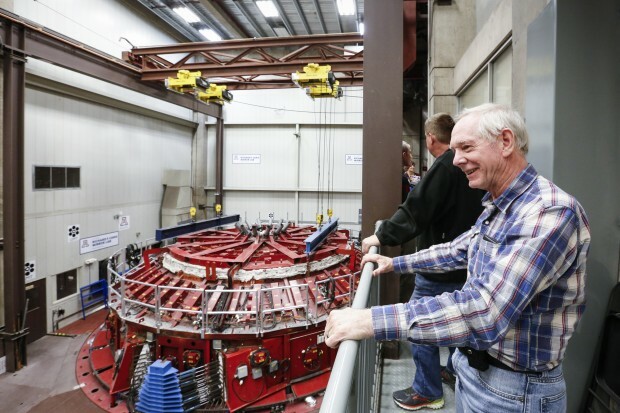 Some of the participants said they have been engaged in outreach through occasional telescope nights, parish and school presentations and connecting Bible study with recent astronomical discoveries. For them, they start from the perspective that God exists and that each new discovery reveals a facet of the mystery that is God. It’s that type of thinking that encourages Brother Consolmagno and his Vatican Observatory colleagues who joined the workshop at times. I want to a Catholic university and I found it to be an excellent education. My favorite professors were clergy from several different faiths. I had a Russian Orthodox priest, a Catholic priest, and a Islamic Imam as professors.